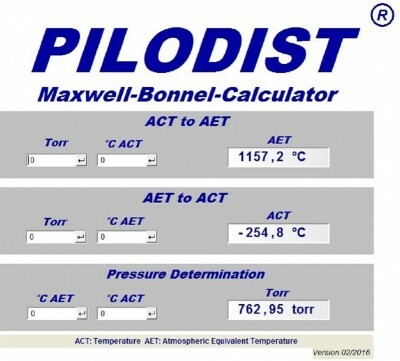 PILODIST® – systems across the world are supported by on- site commissioning, training as well as trouble shooting service at short notice by a well trained and experienced local service team who are managed and advised by us. Customers are always very welcome to attend factory acceptance tests and training in our company laboratory before the ordered systems are being disassembled, packed and shipped to customer`s site. If required we can at this time also provide test data using a customer test sample. Please ask us for support to service and upgrade existing distillation systems to a modern and state of the art technology. Besides our standard range of systems PILODIST® technical engineering team can also design and manufacture special customized systems. Due to our in-house production facility and comprehensive spare parts stock PILODIST® can supply at very short notice required spare parts. Please use our own Maxwell-Bonnell-Calculator to convert actual temperatures (ACT) into athmospheric equivalent temperatures (AET).